YAY!!! I GOT A PLACEMENT IN JAPAN! I believe it's in Nagasaki if I heard my recruiter right, the phone connection was a bit static-y (kind of depressing that when I went to google up images the first several pages of results were of the bombing ;A;), starting in early December :D He's going to send me the detailed info to me tomorrow, I'll have a few days to think it over, talk it over with mom, and then it could all be set!! Wah, I'm SO EXCITED!! Unfortunately we're not anywhere near each other; you're in Kyushuu and I'm in Tohoku. I'm going to Iwaki, Fukushima, which is about two hours north of Tokyo. And, I'm leaving on Saturday! However, you're super close to Korea down there and I think I'm going to go visit a friend in Korea over Christmas/New Years. I might just come down and go across on the ferry if you're going to be down there. Then I can visit both of you! Yeah I am, do you know how excited I was when I saw on wiki's page for Nagasaki that the average lowest temperature at anytime of the year doesn't cross into the minuses?!?! </b></i>Hallejuah </b></i>(Or however you spell it)!! ^_____^ Yay, no snow/cold temperatures... especially coming from Ottawa! XD Fukushima isn't as hot as where you're going to be, but because it's on the Pacific coast (4km from the beach), it has the same climate as Vancouver in the winter... but without the snow or rain. I can settle for that. And if it's still too cold... I'm coming down and taking shelter in your tropical paradise! Are you just doing one year in Japan? Do you think you might want to stay any longer? You have to stay in Japan long enough to take a vacation with me to China! I want to see your homelaaaaaaaaaaand. And, I don't think (want) to do without knowing any Chinese! XD Plus, I'm sure you know where all the best places to go are! I want to try and stay in Japan for at least 2 years if not 3. I think as long as I don't end up finding the job absolutely unbearable for whatever reason I'll be extending my contract so long as they offer it. I think there are still chemicals from Chernobyl around, but I think Nagasaki and Hiroshima are fine. Maybe if you got knocked up you'd have to worry about that? Well, that's what happened to one of the girls in Gunslinger Girl who was born around the time/place of Chernobyl. Volume 6 if you want to take a look. Nagasaki and Chernobyl were two different situations, which is why the residual radiation levels are different...Chernobyl was a nuclear power plant disaster, which is why you are still advised to stay on the road if you take a tour (and stay away from certain areas). The sarcophagus enclosing the no. 4 reactor is starting to crack O_____O. Photos of the zone are super creepy because it looks like time froze in 1986. Most of the residual radiation from the a-bomb was released within 24 hours and today you'd find the same amount of natural radiation elsewhere. Apparently Nagasaki is now completely reliant on nuclear power. We should go to the Diefenbunker before you leave. 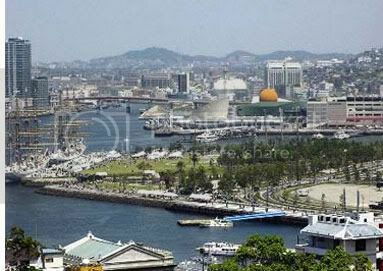 They have an exhibit on Nagasaki and Hiroshima there. For some reason I kept thinking Chernobyl was in the US until I just googled it O__o;; Of all places in the world to tour I think I'd stay away from that one unless I have like...a terminally ill disease already or something. Sagiri Seina, Chigi, my 'sienne, is from Nagasaki... whereabouts in Nagasaki, if you know? I know that there are very, very faint readings now, but it's no more so than places in the US that are near nuclear power plants. Ooh, you've been? I saw in the photos (and on the map) that it's by water, which is awesome since I LOVE water-side cities (albeit I guess given how big the city is it's possible I'll be nowhere near the water, lol). No unfortunately i havent been there. The southernmost where i've been is Shizuoka. But i've heard good things.